Imogen Clark retained her British Summer Championship title with a commanding performance on the opening day of the 2017 event in Sheffield. The Loughborough University swimmer was just 0.03 seconds shy of her own British senior record from April’s British Championships as she won the 17/18 Yrs event. 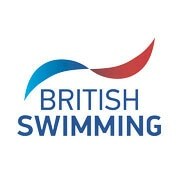 with a British 18 Yrs age group record. Clark held just under a two second advantage on the field as she touched in 30.24, breaking the British 18 Yrs age group record in the process. The 18-year old’s effort earlier this year remains at fifth in this year’s world rankings, with the World Championship final to come on Sunday afternoon in Budapest. There were English champions across all age groups in the 50m Breast with Clark’s Loughborough teammate Beth Aitchison improving from silver last year to claim the senior title. Aitchison took her PB down to 31.15 to clinch gold in the final. Guildford City’s Tatiana Belonogoff kicked off her Summer Championships in the same fashion as 12 months ago as she won gold, setting a PB 32.06 in the 16 Yrs age group. The 15 Yrs crown went to 14-year old Maia Hall of Loftus Dolphins as she clocked a PB 33.51, taking the touch by just 0.02 seconds from another 14-year old, City of Birmingham’s Lizzie Kingham (PB 33.53). Finally, West Suffolk swimmer Angharad Evans retained the 13/14 Yrs crown, winning in 32.55 after a 32.44 effort in the heats. RTW Monson’s Jemimah Berkeley also broke 33 seconds in the youngest age group, becoming the second fastest British 13 year old in history – behind Evans – with her 32.88 effort for silver. Berkeley’s teammate Anna Leman joined her on the podium with bronze, courtesy of a PB 33.27 swim in the final. Katie Matts sailed under 4:50 for the first time to land the senior 400m Individual Medley title for Stockport Metro. The 18-year old also jumped to seventh in the British 18 Yrs rankings with her PB 4:44.35 effort in the final, holding off Sheffield’s silver medallist Amber Keegan (PB 4:45.15). City of Sheffield were also celebrating in the 17/18 Yrs age group as Amy Bell won gold in 4:50.73. Millfield’s 15-year old Sophia Wilson was the third English gold medallist in the 400m IM, taking the touch in the 16 Yrs final in a PB 4:53.02. Kingston Upon Hull swimmer Amy Corcoran ducked under five minutes for the first to come home as the top English swimmer for silver in the 15 Yrs age group, touching in a PB 4:59.91. Newcastle Swim Team’s Madelaine Hardingham broke the same barrier for silver in the 13/14 Yrs age group, touching just 0.04 seconds behind Scotland’s Katie Shanahan in a PB 4:56.93.